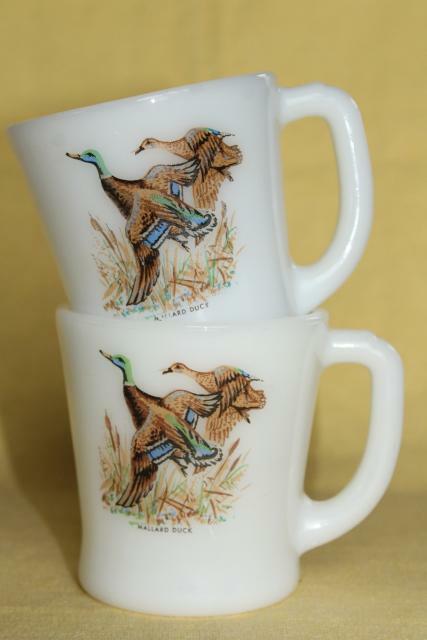 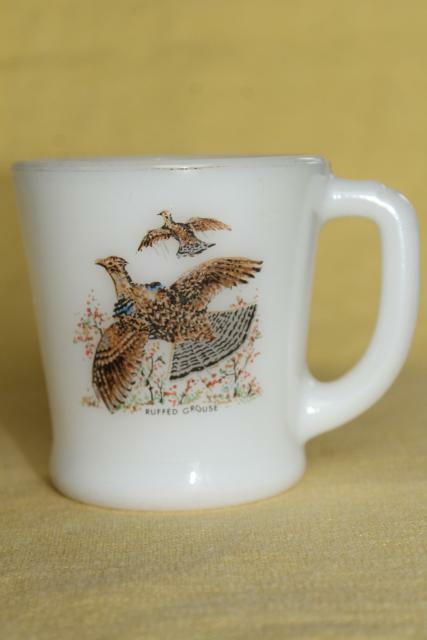 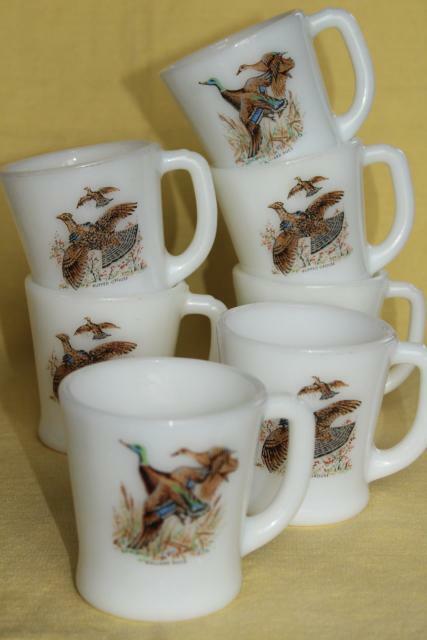 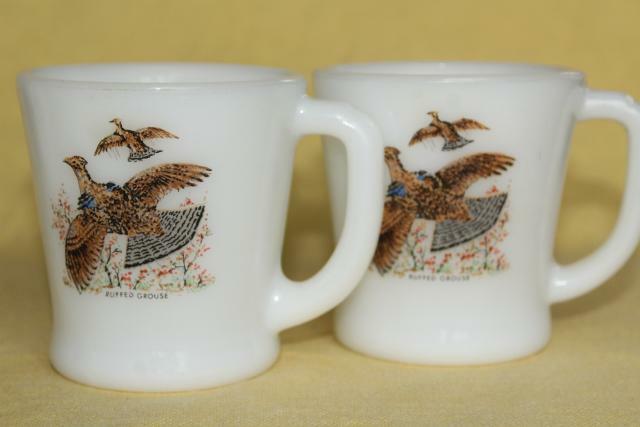 Lot of seven vintage Fire King game birds coffee cups... two of these are mallard ducks, five are the grouse print. 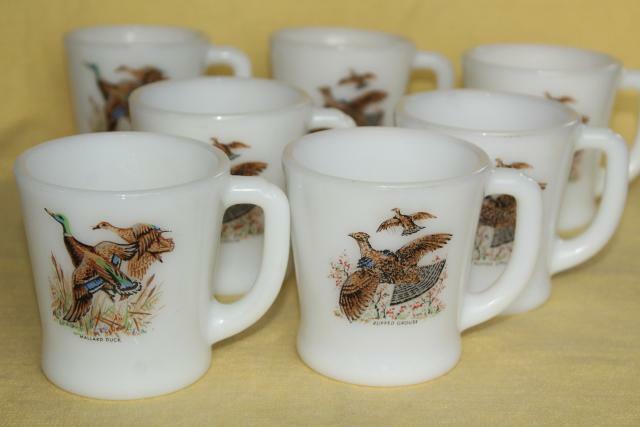 These are about 3 5/8" tall. 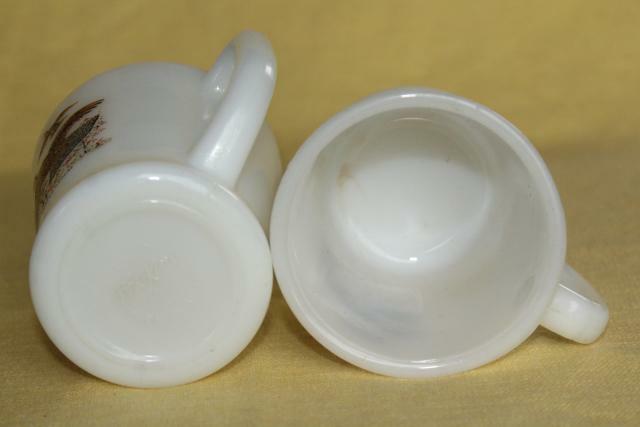 All have some wear to the design (not terribly much so), and some have a little staining. 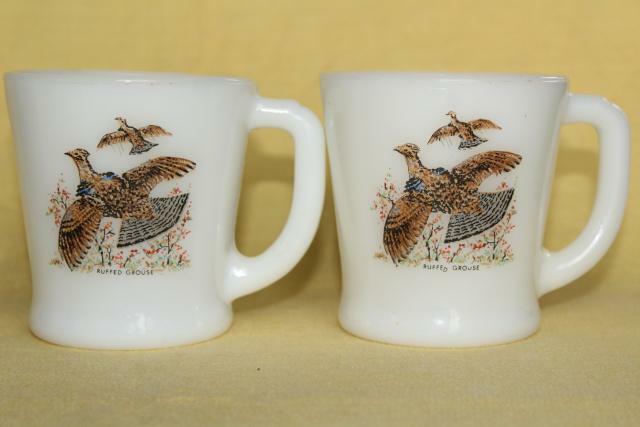 None have have chips or cracks.